This past summer, I gave birth to my second child after an exhausting (to say the least!) pregnancy. I now have a new level of awareness as this experience has altered my view once again on pregnancy, birth, and motherhood. I’m sharing this story to create more awareness around how being an active decision maker in your pregnancy, birth and post-partum period greatly influences your ability to have a positive experience through these stages. (Read my article: 3 Ingredients to creating an empowering birth HERE). 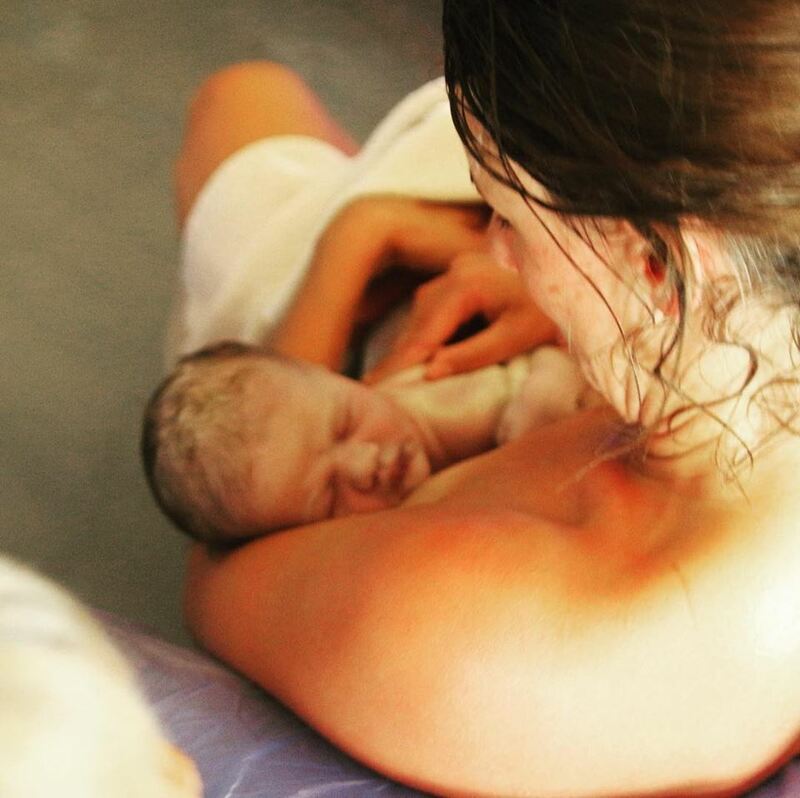 There are so many different ways to create an empowering birth experience for yourself. The choices that I made for myself won’t fit for everyone, it is so important to listen to your intuition and make the best choices for yourself in each separate experience. My experience was empowering, but it also was medically uncomplicated. Everything that happened was in the realms of normal and it was safe. I was in control - and of course this helped me in having a positive experience. My entire experience of trying to conceive, pregnancy, miscarrying and birthing was what inspired me to switch gears in my counselling career after my first son was born to start my current counselling practice specializing in supporting women through this stage of life. After a lot of research and changing plans, my husband and I created an incredible and empowering birth experience for my first birth 3.5 years ago; and we wanted to recreate the same undisturbed environment for this birth too. My husband and I felt so excited about creating the entire experience on our own terms from the BEGINNING this time. After my first son was born, I thought “If I can do that, I can do anything!” I was expecting my second birthing experience to be similar to my first, and I but NO idea what I was in for… Read on to hear the birth story of my second baby! The contractions first started when I was out for a walk at 35+2 weeks pregnant. It was the middle of summer, and the air was tainted with smoke from forest fires. The contractions were strong, but not painful. I wondered what was happening as I noted that it was much too early for labour to be starting. At this time, I didn’t know about prodromal labour... But over the next 6 weeks while I impatiently waited for my baby to come earthside, it turned out I had a lot of time to learn all about it. I was exhausted from not sleeping; and coffee barely helped me make it thorough each day with my increasingly energetic toddler. My mood and patience were low. I stopped making plans, thinking I would just have to cancel because surely baby was coming at any moment. My husband re-arranging my affirmations during my labour for a better view! Then somehow, when I reached 40 weeks, I was able to let go. I started making plans again and just accepted that sleepless nights with strong contractions were just a part of my life for now. Well-intentioned advice to get induced was coming from every direction, but that didn’t feel right for me. I was determined to allow my baby to come on his own terms because that’s what felt right for me (for others it can be different and there are so many different “right” choices here!). To help myself cope with the wait, I convinced myself that baby wouldn’t be coming anytime soon… and I did this so well that when it was finally happening, I barely believed it. Finally, at 41+2 weeks, it began. It was an early hot summer morning and although I felt uncertain if this was “it”; the contractions continually increased in strength, so my husband started to get things ready. After a few hours of the contractions getting more and more intense, I headed down to the birthing space that my sister Jessica (Birth Takes a Village) and I had created several weeks earlier (when we thought I was going into labour the first time!) We had set up a cozy spot with fairy lights and birthing affirmations all around where I would be labouring. Having a space that felt safe, comfortable and empowering was important for me. My birth team arrived over the next few hours. When my 3 year old son woke up from his nap, he came downstairs and said “Mommy are you pushing the baby out?” And during contractions he would hop on my back (the pressure actually felt amazing) and he would say “I’m here for you mommy. I’m going to help you push the baby out.” I had prepared him by watching lots of birth videos with him and talked a lot about what would happen at the birth. I was determined to catch this baby myself this time. Keeping my hand down low, I breathed my way through the contractions. Jessica (Birth Takes a Village) coached me through each breath when I started to tense up which made a world of difference by reducing the intensity of the surges. She helped me to be more mindful of my breath and the process which reduced the pain dramatically. It was getting more and more intense and although my son was being cute, I felt that I needed him out of my space. I knew I needed to get my needs met in this moment, so I asked my husband to take him outside so that I could have a quieter environment. Jessica seemed unsure of this and told my husband to stay closeby because the baby was coming soon. Almost as soon as he got out the door, Andi ran after him because Jessica was right...my baby was making his entrance! Moments after my baby’s arrival. My husband got back into position, supporting my back and hips. Soon I felt the top of my baby’s head. What an incredible feeling! I felt his hair, and my own skin as it stretched around the top of his head. I was in total awe of my body at that moment. Although incredible to feel, the pressure that came with those next contractions was extremely painful. I felt like I had to let go of my baby’s head to support myself so I asked my husband to take over baby catching duties. Then the rest of his body shot out, just 33 minutes after entering the birth pool! I swung my leg up and over to grab my baby and leaned back against my husband. My older son jumped into the pool to meet his baby brother up close. He was so excited! The contractions for birthing the placenta started almost immediately and surprised me with their force. I held and nursed our new baby in the pool over the next hour as I endured intense and painful contractions as the placenta made its way out. 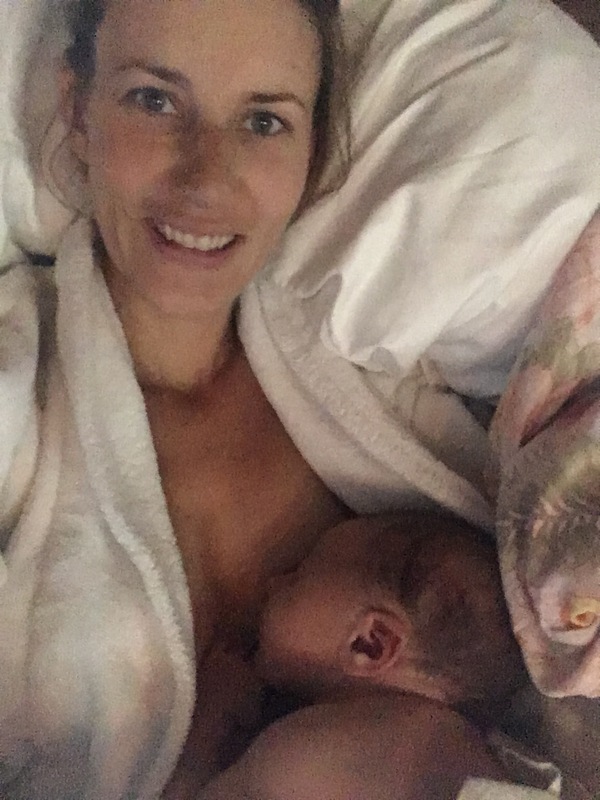 Although it was incredibly difficult and painful; I felt strong, capable and confident throughout my labour and I credit this to my amazing birth team for having complete faith in me, as well as my own trust in the process which I built up as I prepared myself during pregnancy for both of my births. Alongside childbirth education, I believe that emotionally preparing yourself for your birth and carefully selecting who you will allow to be present for your labour and birth is detrimental. My birthing choices are not for everybody. There are all types of ways to have empowering births! I strongly believe that as women, we must listen to our bodies and trust our intuition to make the best choices for ourselves. For some, that means varying degrees of medical support & assistance at home or hospital. For me, this is what it looked like. I made conscious and well informed decisions throughout both pregnancies and births. What is best and safest for everyone in each birth can look so different. I chose what felt like the best and safest options for myself, my baby, and our family. I am also very fortunate to have a husband who learned about birth alongside me ever since we began TTC with our first, and my sister Jessica (Birth Takes a Village) has been educating me as she has journeyed through the last 8 years attending births. Jessica’s knowledge and support is invaluable and I am so grateful to have had her attend both of my births. 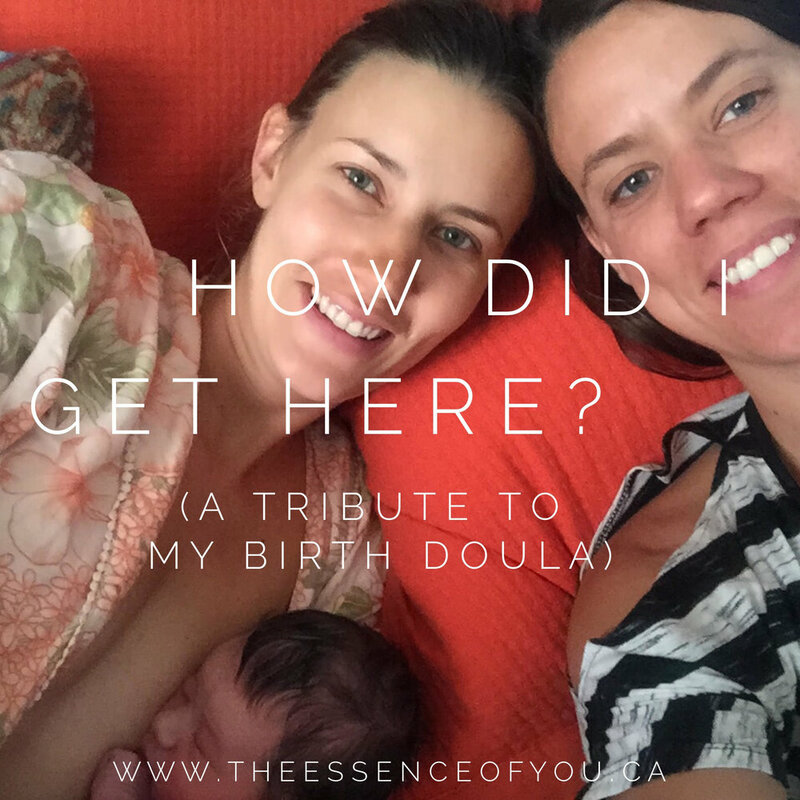 When I started talking with Andi from The Offbeat Doula about birth, I knew that she was a great fit for us. Having carefully selected my birthing team, I was able to have an incredible and empowering birth experience and I will be forever grateful. During my pregnancy I was feeling anxious about what my post partum period would be like this time around. I was feeling confident and prepared for this birth but I was worried - not only about how I would manage post-partum, but I was also worried that my anxiety about the post partum period could impact my birth experience. So, I decided to practice what I preach (in my Counselling practice, I support women to prepare for birth & post-partum), and I sought out therapy for myself to process my concerns. After working through my anxiety with my therapist, I felt much more prepared. I realized that despite how hard it is to ask for help, getting support so that I could rest during the weeks following this birth was more important than anything. I made it clear to my husband how important this was and he supported this plan by arranging to have the first 3 weeks off of work - despite this being “frowned upon” amongst the men in his industry. I also arranged with my mother to have her come help out for the first week, and spoke with friends to make sure I had back up. Since then, there have been plenty of ups and downs, but I had a wonderful first 3 weeks as I rested and allowed my body to heal while my husband, my three year old and I adjusted to life with our new addition. I am so grateful that I pushed through my discomfort and vulnerability in asking for help and so grateful for the help that I received. The “fourth trimester” is real, and rest and support go a long way in the first weeks and months after birthing. What is most important to you when you think about creating a positive birth and post-partum experience for yourself? What helped you the most to feel in control and empowered in your births in the past? I hold Birth Preparation Workshops regularly and love supporting women to create positive and empowering birth experiences! (Online support offered over video calls for people not local to Calgary area). For info on my upcoming dates, go to: www.theessenceofyou.ca/events. Private Workshops also available.